HUSC is committed to helping young players improve their skills, stamina, teamwork and enjoyment of the great game of soccer. Tryouts are open to ALL players from surrounding communities. 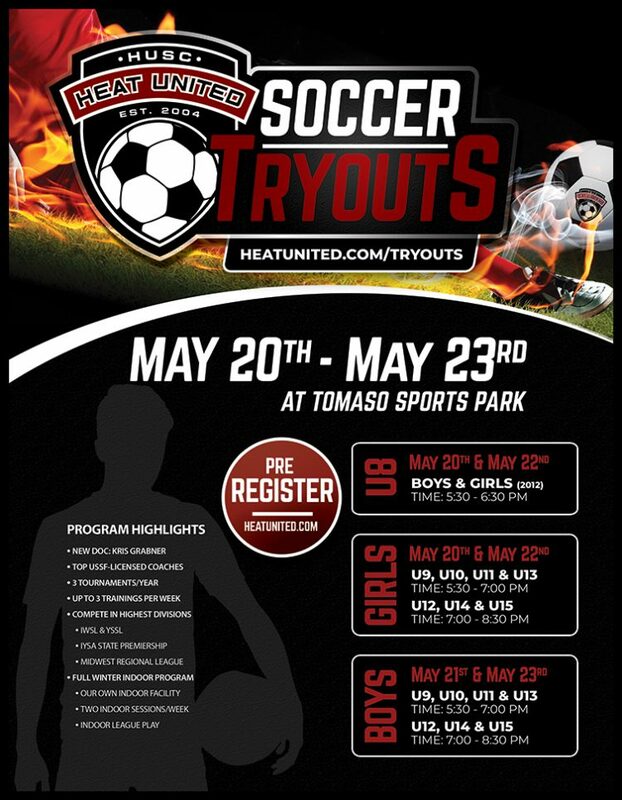 Tryouts will be held at Tomaso Sports Park in Huntley- May 20 – May 23 2019.